What are sun protection pills made of? Can Heliocare beautify my skin? The bottom line: Is Heliocare worth the cost? Traditional, topical sunscreen and protective UPF clothing offer the strongest coverage from harmful UV rays. Heliocare and other oral supplements made with polypodium leucotomos extract (PLE) offer another layer of protection when used with sunscreen. This antioxidant-rich extract offers anti-inflammatory and anti-redness benefits. Too much sun exposure increases the risk of skin cancer. It can also cause wrinkles, broken blood vessels, and dark spots. 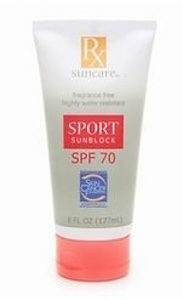 Broad-spectrum UV protection topical sunscreen provides a powerful shield against damaging sun rays and free radicals. As a preventative measure, it remains the gold standard. Since the two types of UV rays have different sun-related effects, it’s important to choose products with active ingredients that offer protection from both. Heliocare is a daily oral supplement that claims to provide antiaging skin benefits and protection from sun damage. The company recommends only using their product for overall skin health, and not as a replacement for traditional sun protection. The capsules contain antioxidants derived from a fern grown in Central and South America as part of what Heliocare calls Fernblock technology, which employs antioxidants said to fight the free radicals that cause aging. This fern has also been shown to help with certain skin conditions that are worsened by sunlight (photosensitive dermatoses)—such as melasma and polymorphic light eruption (PMLE)—and has even been tested in discoid lupus, a condition that causes inflamed sores and scarring. In one study, researchers found oral administration of polypodium leucotomos, also called P. leucotomos, provided measurable anti-inflammatory effects and helped treat vitiligo. As Pollack points out, it’s very important to protect skin from UV damage, which in turn prevents the formation of free radicals. Products with antioxidant properties are considered the best tools for this purpose. Sunsafe RX, another brand of sun protection pills, takes their claims further by promising to keep the skin safe from the damaging effects of both UVA and UVB rays. Sunsafe RX and Heliocare both rely on PLE formulas, but Sunsafe RX has several additional ingredients—vitamins A, C, and E, zinc, omega-3 fatty acids, and green tea extract—that claim to offer additional benefits for general skin care. These extra ingredients, according to the manufacturer, help bolster the skin’s ability to stave off damage. The abilities of the antitumor protein cited by Elias are promising. One study showed that it helped mitigate some of the damaging effects of UV rays in mice. The same study indicated that P. leucotomos simultaneously helped increase potency of the p53 protein. A clinical study published in The Journal of Clinical and Aesthetic Dermatology found that taking 240 mg of P. leucotomos twice daily for 60 days safely and effectively reduced the damaging effects of ultraviolet radiation. In another study, researchers who compiled over 40 years of research found P. leucotomos was safe for long-term use and had no reported serious side effects. According to Beverly Hills-based dermatologist Dr. Tsippora Shainhouse, Heliocare may prevent skin cancer and photoaging by keeping the skin from burning. This makes it a good choice for people with lighter skin tones and sun-sensitive skin. Dermatologists agree that Heliocare and other oral supplements should never be used as a replacement for traditional sun protection methods. It should be used for extra protection, not as the only protection. Some dermatologists and general healthcare professionals recommend Heliocare or Sunsafe RX to treat and prevent certain skin conditions. “I frequently recommend Heliocare for its antiaging benefits, prevention of photosensitizing disorders (lupus, dermatomyositis, PMLE, etc. ), and also because there’s evidence that it can be used for prevention of skin cancers,” says Yale-trained dermatologist Dr. Rhonda Q. Klein of Connecticut Dermatology Group. Oral skin boosters have stumped international dermatologists for decades, but Heliocare seems like a promising step in the right direction. The manufacturer’s claim: equipping skin cells with an antioxidant property gives skin the added ability to ward off sun-related effects and aging. By protecting the skin from frequent burns, Heliocare claims that it can allow users to experience fewer skin issues. Overall, reviews online are quite favorable — Heliocare has four and a half stars on Amazon. Users report that this supplement does appear to help prevent certain forms of sun damage. However, the effects seem to vary widely from person to person. It can be difficult to ascribe the lack of a sunburn on any given day to a single factor, be it Heliocare or any other precautions taken. Certain aspects of the sun’s damage can also take years to visually materialize. Heliocare is great for anyone who wants to fight age-related skin damage, and may help those who have certain skin disorders that make them more sensitive to sunlight. It’s also easy to use and convenient, with safe and natural ingredients. Depending on your preferred brand of sunscreen, Heliocare may cost more—about $30 for a two-month supply—but when you consider that it also has anti aging benefits, it may cut the costs associated with the other skincare products that you use every day. Current research suggests that Heliocare, and other sun protection products that rely on PLE, are safe and effective. There are also more than 20 peer-reviewed research articles supporting the efficacy and safety of P. leucotomos, even for long-term use, in the U.S. National Library of Medicine. You should know that dietary supplements, like Heliocare, don’t need to be tested and approved by the United States Food and Drug Administration (FDA) before they enter the market. Also bear in mind that these products should only be used in conjunction with topical sunscreen. When used as directed, research indicates that oral sun protection will likely be a boon to your healthy skincare regimen. While sun protection pills can help protect your skin, they work best when used in conjunction with broad-spectrum SPF. Below, we’ve compiled a selection of the top sunscreens to use while taking sun protection pills. Heliocare makes a sunscreen that works hand in hand with its sun protection pills. It features UVA and UVB protection, and an oil-free formula that prevents skin from looking greasy. Its sebum-controlling technology makes it a great choice for those with oily or acne-prone skin. The #1 dermatologist recommended brand of sunscreen, Elta MD is great to use with sunscreen protection pills. It offers UVA and UVB protection, and also uses lactic acid and hyaluronic acid to brighten and moisturize the skin. This low-cost sunscreen is a good choice if you want comprehensive sun protection without breaking the bank. Designed to feel dry to the touch, Neutrogena sunscreen will protect your skin from the sun and prevent signs of aging without clogging your pores. This sunscreen is great if you want sun protection while working out. Its water-resistant and fragrance-free formula means it will be comfortable and effective, even for those with the most sensitive skin.